This picture appeared in The Pilot newspaper on 19 October 1923, page 5, along with the following poem. Does not meet the case. For one among their ranks. Once more upon the rack. This page was added on 03/03/2016. 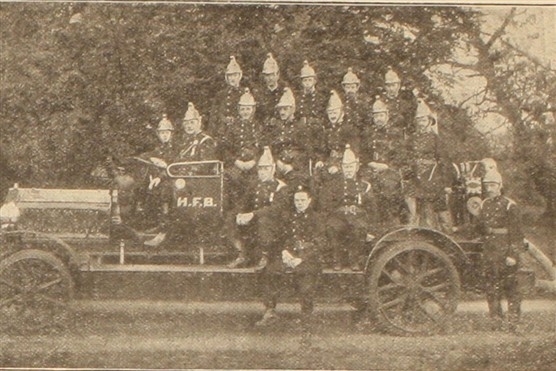 My grandfather, Frank Groom (middle row, far right) was part of the the fire brigade crew.